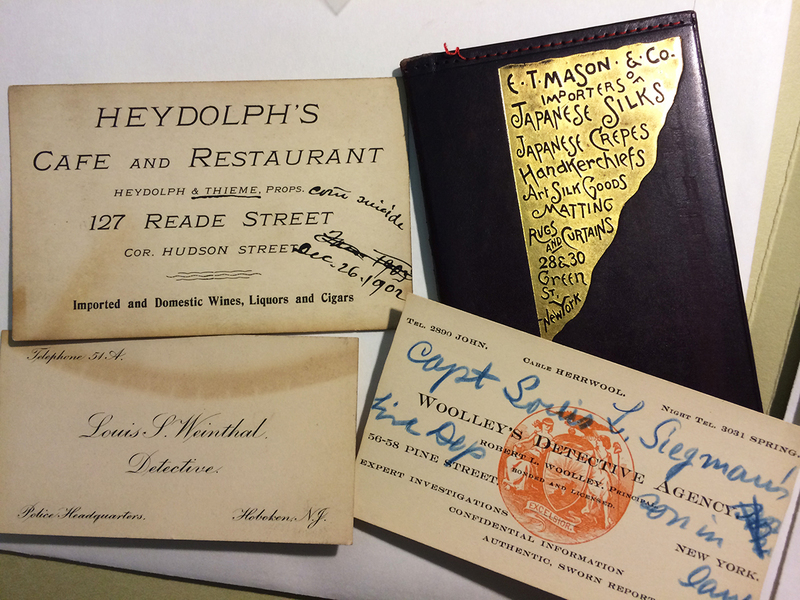 From salacious case files to daily diaries – you gotta love archive collections! Source: Peek Inside the Grisly, Salacious Case Files of NYC’s Head Coroner in the Early 1900s , an excellent article featured in Atlas Obscura. Don’t you love a good headline? And even better when it’s a teaser to a little known archive of personal papers of a public servant, in this case, Gustav Scholer, a German-American physician who was a contract surgeon in the US Army in WWI, an examining surgeon for the US Bureau of Pensions, and worked as a deputy New York City coroner from 1886, and finally coroner in 1902. While this treasure-trove of personal notes, letters, coroner records, and various medical and state hospital records and papers is not digitized or available to view online, it stands as an example of the amazing amounts of information that one may uncover by literally pushing away from the computer desk and going to **gasp** an actual repository of records! But don’t push away too quickly. Before you race off to the nearest library or archive looking for hidden boxes of personal effects, take the time to research what collections may be at your nearby repositories, what those collections may contain, and what is required of you in order to request access to those collections. The Gustav Scholer papers referred to above, for example, are at the New York Public Library, Archives & Manuscripts. You may search the contents and availability of NYPL Archives’ 10,007 collections; with 1,032,805 described components; including 179,956 names, before you ever leave home. Once you locate, online, the collection you are interested in, you should see a full page of information about that collection (typically called Finding Aids) which include biographical and historical information, how the collection is arranged, exactly where it is located, and what is required to gain access — to physically see those fragile ink-stained pages yourself. You’d be amazed at the amount of information that may be uncovered in these collections of personal papers, as well as being amazed at just where you might find them. Often the descendants of individuals who have kept family history and personal diaries for years end up donating boxes of “stuff” to local public or university libraries, perhaps even an Alma Mater. So don’t be surprised if the papers of a family from Florida or Nebraska end up in Massachusetts or Connecticut. Ready to hit the Archives? If your interest is now piqued, I highly recommend first reading this article from Archivists.org by Laura Schmidt, Using Archives: A Guide to Effective Research. Search for the Finding Aids of archives and libraries anywhere your ancestors may have roamed. Who knows, maybe one of them is mentioned in Gustav Sholar’s papers. Previous story Can I Use That Picture?